A report in Techcentral has explained how Multichoice has commisioned capacity on a new satellite from Intelsat with an increased capacity. The company currently uses Intelsat 20 which was commisioned in 2012. According to the report the new satellite, Intelsat 36, will expand content offering and pay TV services for the Sub Saharan market. The use of Intelsat 20 in 2012 meant the introduction of HDTV options and more channels. Intelsat 36 will be co-located in the 68,5˚E orbital slot with Intelsat 20. Unfortunately the Intelsat 36 won’t be launched into orbit anytime soon. The satellite will only be launched in late 2016. 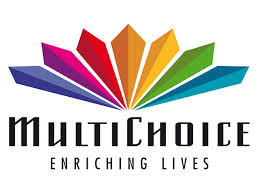 Even though its years away its worth applauding that Multichoice is considering expanding the product suites available for DStv. The current bouquets with the repeated shows are restrictive in terms of viewing variety, something that undoubtedly could do with some improvement. Options for good TV services have always been difficult to get for the average Zimbabwean. With the death of reliable FTA decoder services, options like streaming services or the odd Jack Sparrow DVD have only been able to offer a partial relief for anyone trying to run away from the dare-i-mention Dead BC option. This leaves subscribers with Multichoice as the easiest, albeit uncomfortable option. Then there’s the unavailability of pay per view options for the Zimbabwean market like DStv on Demand and Box Office. Paying for what I want only would definitely make more sense than forking out so much for just to get access to Supersport. Perhaps with Intelsat 36 this might be headed our way. Then again we might end up waiting until 2016 for “So Much More” of the same limited options.